Monaco is the home to the most expensive traffic jam we’ve ever witnessed. It’s 36 degrees, and the famous picturesque streets are crammed with overheating supercars. Millionaires get frustrated alongside supermodel wives, trying not to perspire, as they inch forward one every minute. In contrast, we're riding Honda’s significantly updated Forza 300 and can’t stop smiling. With the electric screen on its lowest setting, the refreshing cool breeze can be felt. 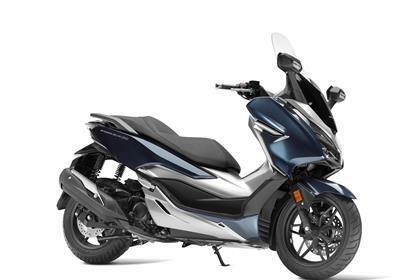 Its sportier, lighter chassis is making easy work of the congestion and the premium scooter is eye-catching in the reflections of the exclusive shop windows. Move over supercar, coming through. 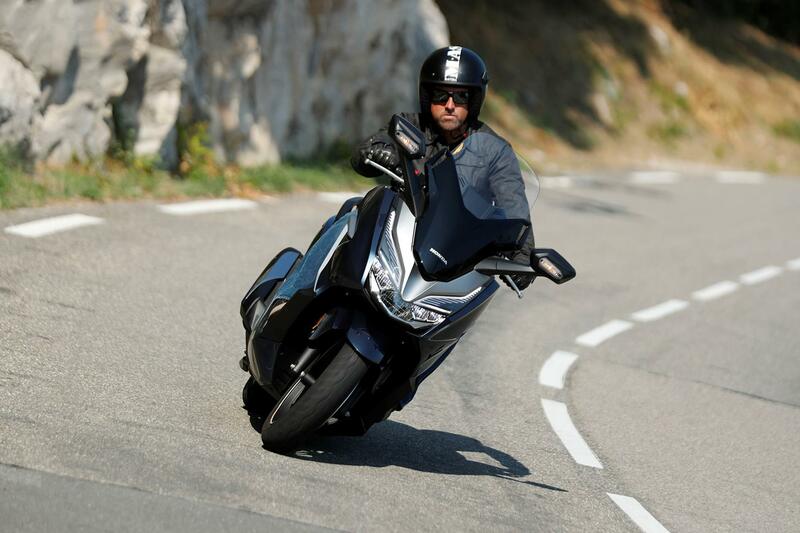 Honda have significantly improved the Forza, it’s a premium, good-looking, functional scooter, which should sell by the bucket load and continue the 2013 Forza 300's success. The original Forza 300 was low and laid back, more like a Honda DN01. This is a completely new look, with a ‘mass forward’ design. Honda wanted to give the Forza a quality feeling and appearance, which has worked. There’s new clocks, Honda SMART key, (keyless ignition) and LED lights. 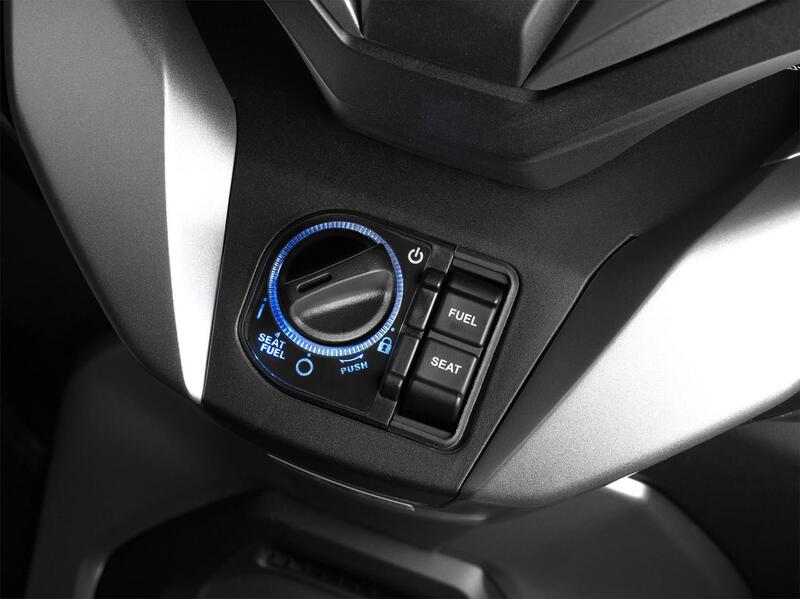 The optional 45l top box also uses the same keyless technology. The 2018 model is shorter, 26mm, lighter 12kg, and the wheelbase has been reduced by 35mm. 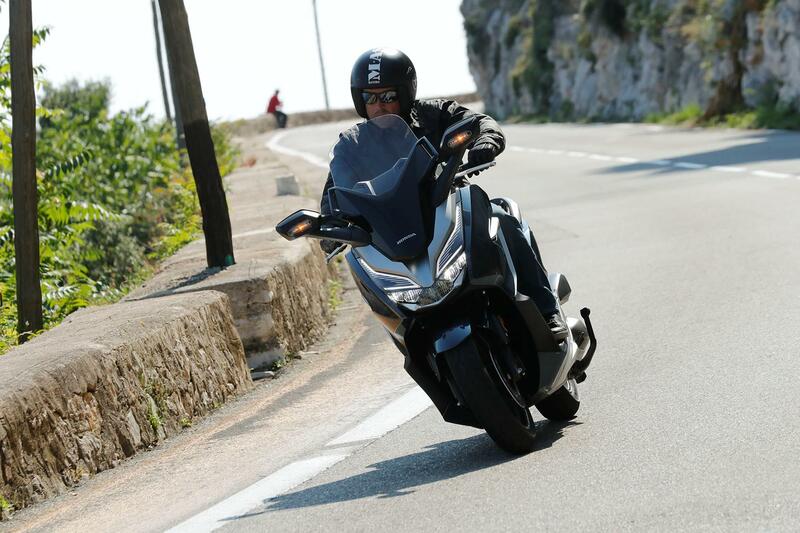 The steering head is steeper and the seat height is now 64mm higher (780mm), putting the rider more in control. The new model is far more agile than the 2013 version, which actually seemed quite nimble at the time. The differences are more obvious at low speed. The new Forza shares its engine with their cheaper Honda SH300i, which means a single-cylinder four-stroke, fuel injected, four-valve motor. Honda are claiming 24.8bhp @ 7000 rpm and 20fltb of torque @5750rpm. 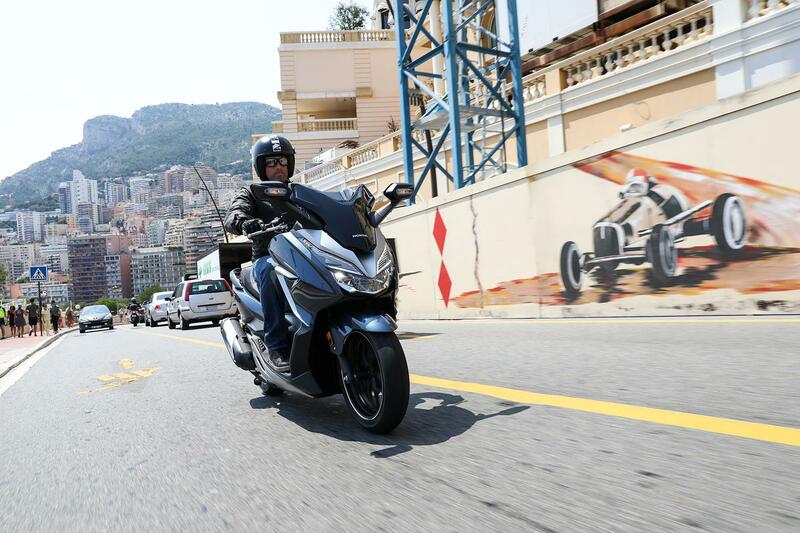 Honda are claiming a top speed of 80mph, however on the launch in southern France we managed to edge out a few more mph. More importantly than top speed Honda are also claiming increased fuel economy, with a tank range of over 200miles from the 11.5l fuel tank. 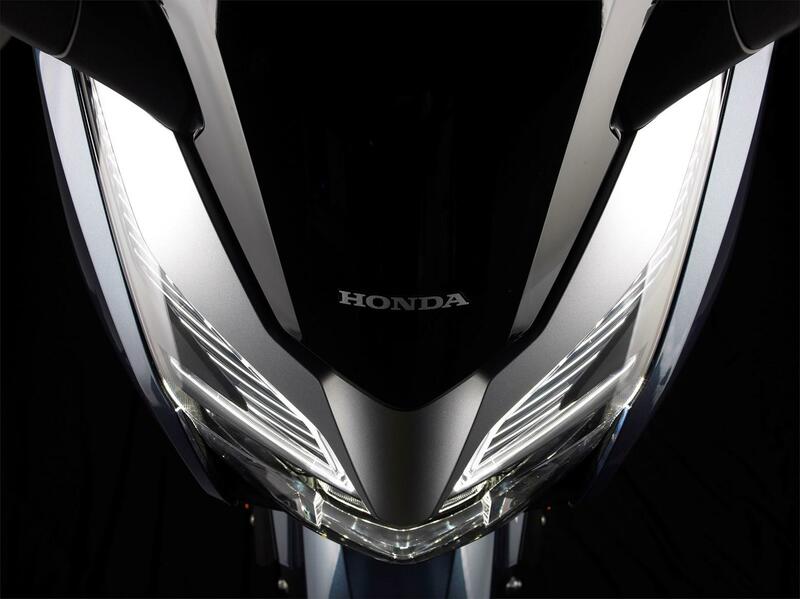 There is no reason to question the quality of Honda’s new premium Forza, the single-cylinder four-stroke engine is unstressed and should run forever. 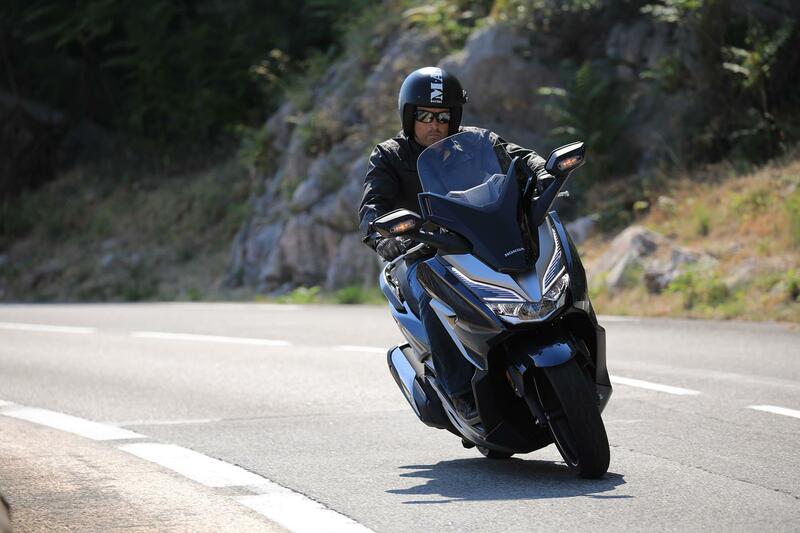 At the time, the £5099 Forza was on par with the popular Yamaha X-MAX 300 (£5199), but slightly more than the more basic Kawasaki J300 (£3999) and Kymco X-Town 300 (£3699). The screen is now electronically adjustable, and one of the fastest we’ve ever experienced, almost like a Guillotine in reverse. 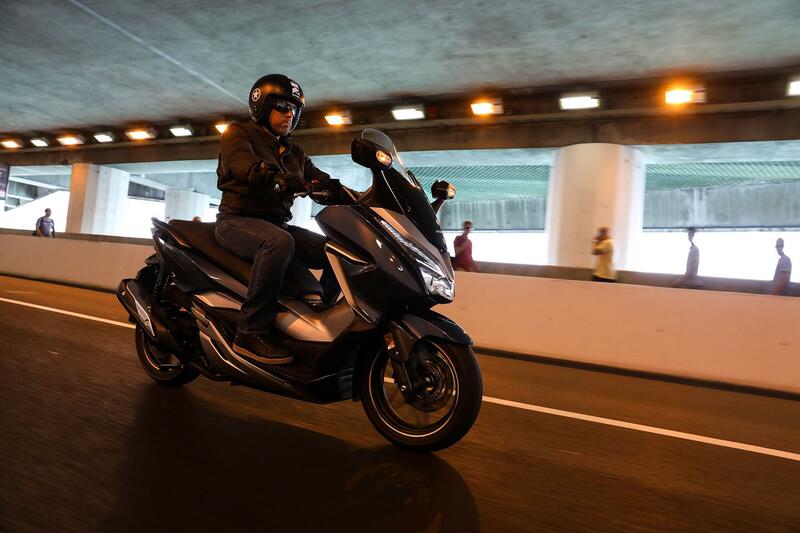 It’s a simple, nice and smooth action, and can be set at any level, very much like the premium Honda Gold Wing. Honda have re-positioned the battery and radiator to give even more under-seat lockable storage. With 53.5l of space, up from 48l there is enough room for two full-face helmets, with room to spare. There’s also a small storage compartment upfront, with a mobile phone holder, next door to a 12v socket. 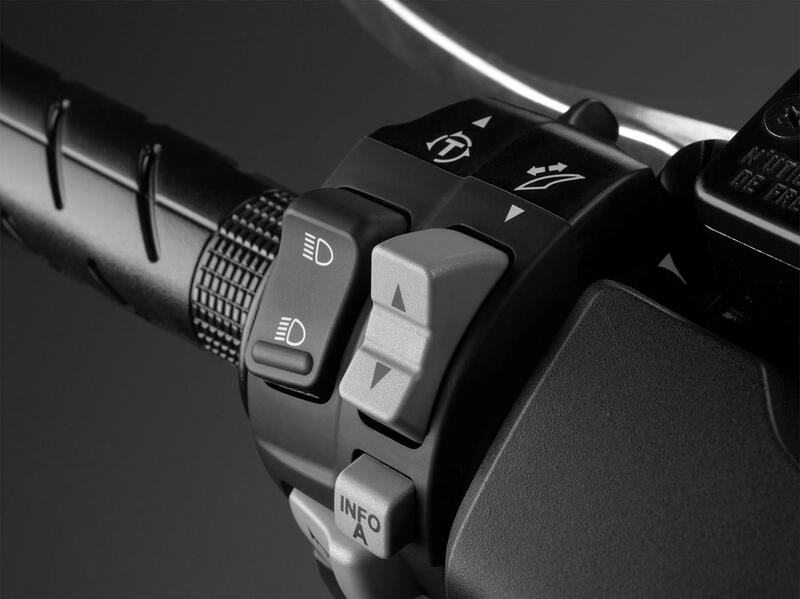 For the first time Honda have chosen to fit HSTC (Honda Selectable Torque Control) to their premium scooter, traction control for those who don't speak Honda. The system uses the ABS wheel speed sensors to monitor wheel speed and intervenes when it notices a significant difference between the front and rear wheel speed. When the system intervenes, there’s a flashing T indicator on the dash. Traction control may appear over-the-top for a scooter, especially when riding in the summer. But, fast forward six months, the middle of winter, wet cold diesel ridden city streets of London, we’ll be thankful for some help. The original Honda NSS300 Forza was made between 2013-2018. 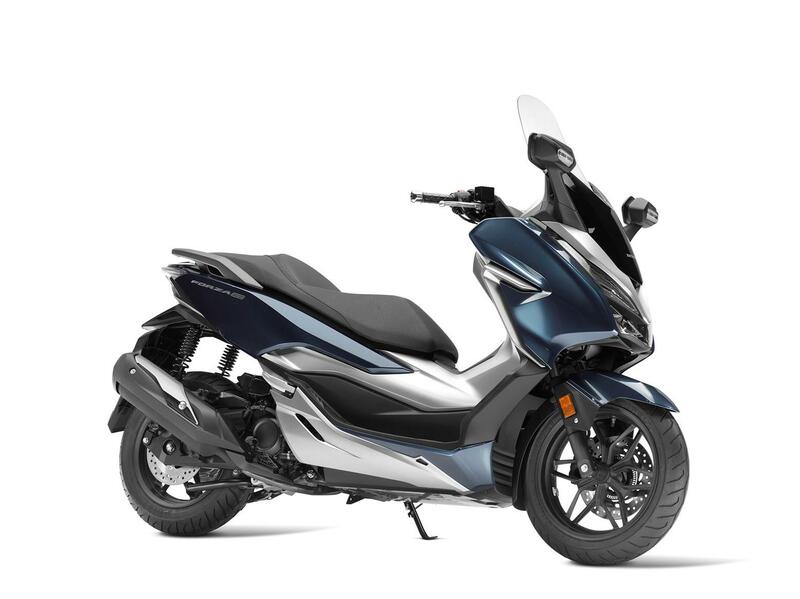 In 2018, Honda also slightly updated the 125 version of their Forza scooter. 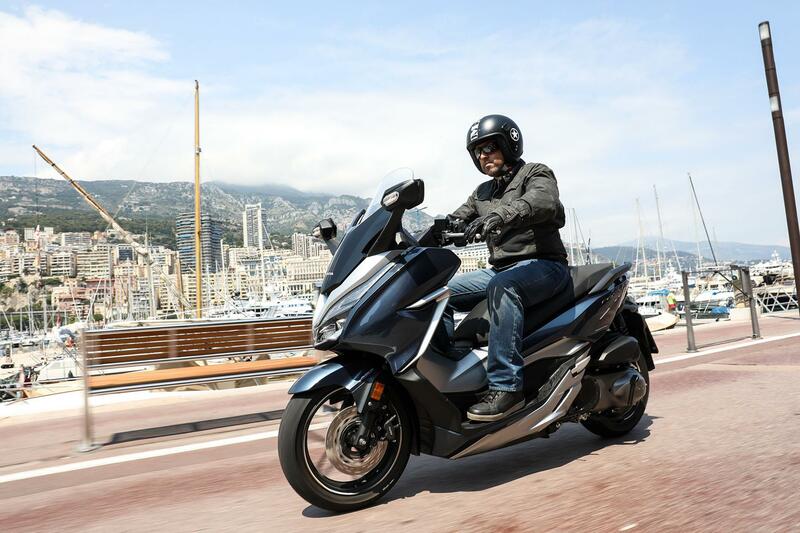 The Italian built Honda has been specifically produced for the European market and like the 300 is designed to be a luxurious scooter, to give the most a 125 scooter can offer. Honda have tweaked the styling, new clocks and LED lights, but more importantly added an electronic adjustable screen. As like the 300 underseat storage has also increased, and now comfortably accommodate two full-face helmets. The clocks are now neater; the overall design has a classy look to it. The electronic screen, as like the 300 isn’t fixed and can be electronically set at any position. Under the seat space has increased by 2l, and up front there’s additional storage with a separate iPhone holder and 12v socket. All the design touches give the 125 a quality feel. The idling stop technology works effortless, like a modern car disabling the engine once you’re stood still. When you want to move away you simply twist the throttle and the engine turn backs on automatically. It’s designed to save fuel in town, Honda quote a 310mile tank range from the 11.5l fuel tank. 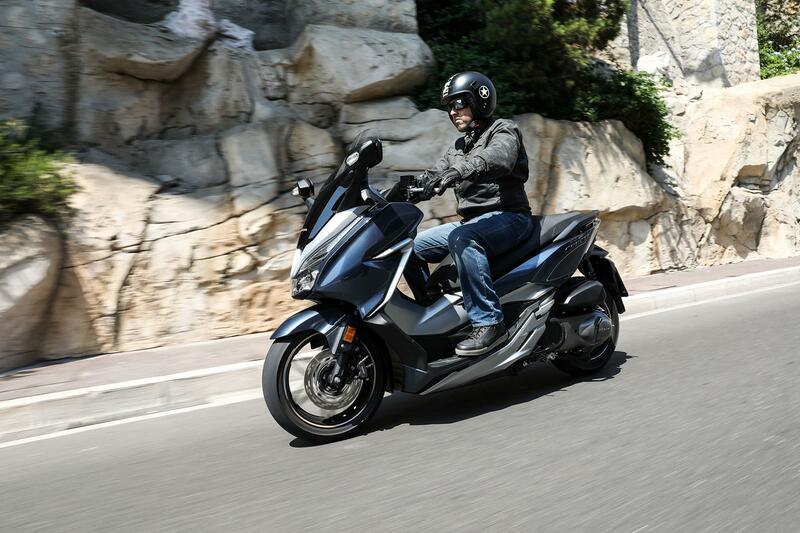 The 4v engine 125 four-stroke has some kick to it, off the mark it’s more than quick enough to keep with fast traffic. Even on fast roads it’s happy to cruise at 60mph and a little more. You can almost question why would you want the Forza 300 But at £4689 it’s only £410 cheaper than the 300 and on PCP it’s actually £10 a month more. So, the question really should be why buy the 125. 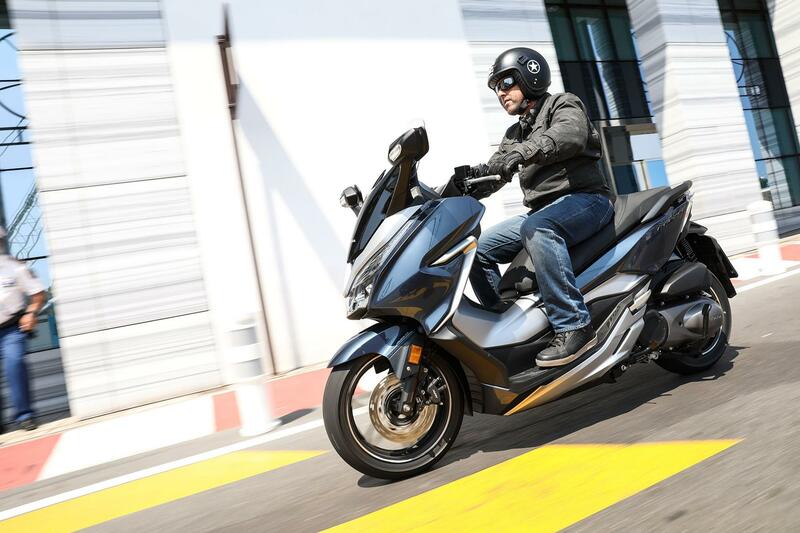 No owners have yet reviewed the HONDA NSS300 FORZA (2018-on). New MCN August 14th: Forza Italia!